French press and espresso are two of the most fundamental and traditional coffee brewing processes. The end result of both methods is a strong, dark brew that can form the basis for many of the coffee-based variants that are enjoyed in hipster hangouts across the world. But, the similarity ends there. As a budding home barista and coffee enthusiast, it’s surely your duty to understand the difference between the two. And as usual, you can rely on us to provide you with all you need to, A. sort the wheat from the chaff, and B. to produce both these brews correctly and to perfection in the comfort of your own kitchen. 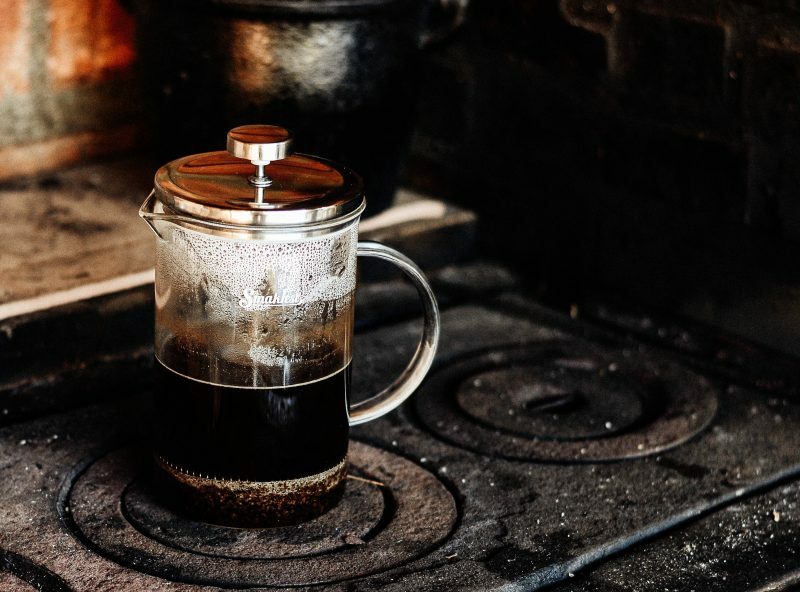 Oh yes coffee fan, you can make French press and espresso coffee at home, although which you choose may be dependent on your budget and how much time you have on your hands. First of all, let’s look at the French coffee press. Or if you prefer, cafetière à piston, cafetière, press pot, coffee plunger, coffee press, or cafeteria. The first French coffee press was patented in 1929 in Milan by designer, Attilio Calimani. So, the French coffee press is actually Italian. Who knew? Anyway, a French coffee press is basically a narrow cylindrical carafe (beaker) made from glass, plastic, stainless steel, or stoneware. The carafe has a plunger that fits tightly within it. A handle is fitted to the plunger on the top of the press’ lid. To prevent the grounds from invading your coffee, the plunger rod attaches to a circle of fine wire or nylon mesh filter screen and disc. These components are held firmly in place against the carafe by a surrounding spring. A major plus point of the French press coffee over espresso is the speed that it takes to produce a large volume of coffee. Espresso machines produce very strong, rich coffee in small quantities, whereas a French press can give you a liter of brew right off the bat. This makes French press coffee the go-to option for social gatherings when you need to serve multiple cups of brew in one sitting. So, what flavor profile will you get from French press coffee? If you enjoy a deep, strong flavor, you’ll probably fall in love with French press coffee. French press coffee requires a coarser grind. If the grounds are too fine, they’ll run through the mesh filter and into the coffee. Coarser grounds give you a different flavor profile to that produced by the original bean. Generally speaking, the finer the grounds, the more they will be exposed to the water within the carafe. Since the extraction rate of coffee grounds is greater with a large surface area, a finer grind usually means a bitterer flavor. Therefore, coarse grounds will give you a milder, less acidic flavor, and they won’t pollute your brew. If you have a particular bean that you love, buy yourself a coffee grinder and make your own grounds. That way, you can dictate the coarseness of the end result too. The flavor of French press coffee is also influenced by the presence of oils that are not extracted by the mesh filter. Although many coffee fanatics love the depth of flavor that these oils produce, coffee oil is blamed for increasing cholesterol. If you’re a health freak as well as a coffee nut, you can mitigate the potential damage that these oils could inflict on your arteries by using a paper filter. The basic French press brewing process is pretty simple. Remove the plunger and filter from the carafe. Place the desired amount of grounds into the carafe. Vary the quantity, depending on the strength you want in the resulting brew. Fill the carafe to the indicated fill level with hot water and replace the plunger in the top of the carafe to trap the heat. Allow the grounds to steep in the hot water for a few minutes, longer if you want a really potent brew. Gently depress the plunger so that it descends slowly down the carafe, trapping the spent grounds in the bottom. Go easy … you’re not trying to unblock a toilet! The bottom line; invest in a French coffee press and you can enjoy a satisfying, traditional home brew, without shelling out on the hefty price tag of an espresso machine. If you enjoy camping, hiking, and coffee under the stars in the great outdoors, an espresso machine definitely won’t fit in your backpack. On the other hand, a dinky-sized French coffee press and some home-ground coffee will make it all the way around Yellowstone without giving you a hernia. So, that’s French press coffee in a nutshell. Oh yes, you’ll also be pleased to hear that super-trendy cold brew coffee can be made in a French coffee press. How impressed are your coffee drinking mates going to be when you serve them an ice-cold brew at your next summer BBQ? Espresso forms the basis for most coffee-based drinks. Every coffee house has an espresso machine. It’s that fancy (and very expensive) piece of kit that sits steaming and grinding in pride of place on the countertop, producing that delicious, mouthwatering smell of fresh-brewed coffee that we all love. You can buy your own espresso machine for home-brewing. 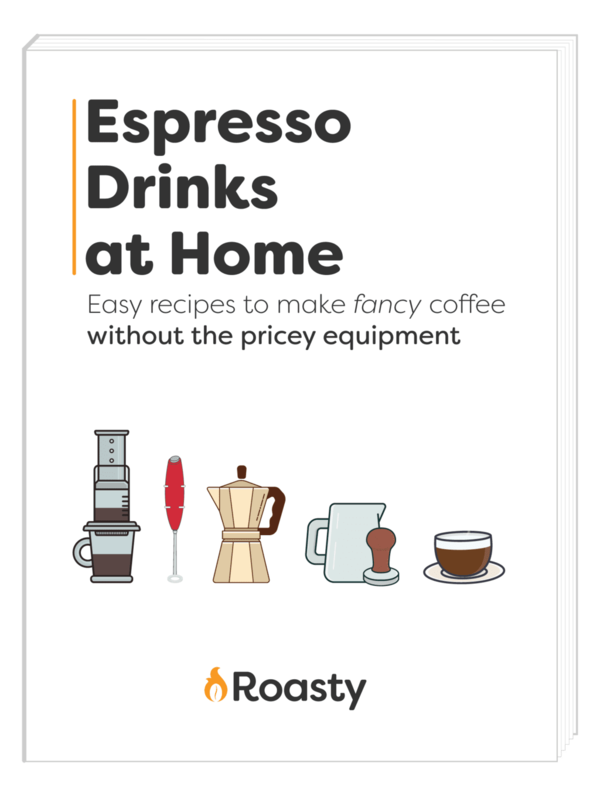 However, if you don’t have the budget for such an investment, you’ll be pleased to hear that you can make your own espresso, without the bells and whistles of a machine. Espresso is basically very strong, concentrated black coffee. This potent brew is made using coffee beans and water via a special brewing process that takes place inside the machine. Espresso is created by forcing steam under pressure through very fine coffee grounds. The steam passes through the grounds at around 2000F, drawing out the flavor quickly and efficiently. Due to its concentration, espresso contains more caffeine per unit volume than most other coffee beverages. That’s 77mg per 1.5 ounce shot. However, French press coffee contains a jitter-inducing 107.5mg per 8 ounce cup. This actually makes a cup of French press coffee more caffeine-rich than one small shot of espresso. So, there you have it. French press coffee is cheap and quick to brew right there in your own kitchen, bedsit, camper van, on the beach etc. Espresso can also be made at home, using a fancy machine if you can afford one, or by other methods if you can’t. Both methods produce a caffeine-rich brew that’s full of depth and flavor. Both are versatile and can be used to make most coffee-based drinks. Et maintenant, bonne chance or buona fortuna. Whichever fork in the brewing road you decide to take. Looking to impress your friends or the cute local barista with your up-to-date coffee knowledge? We've put together this guide on the bone dry cappuccino, so you'll know what's what when it comes to this variant of the Italian classic. 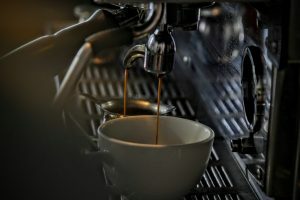 Lately, there seems to be a disconnect between the lingo used in chain coffee shops and that used in specialty shops. That disconnect makes it even harder for coffee-lovers to distinguish between combinations of milk and espresso. We're here to help you figure it out! Read on to see the breakdown of macchiato vs latte. Not sure which beans to get to achieve the perfect espresso? Read on to find the best espresso beans for you plus some tips on what to look for. Not everyone has the time or budget to go all-in on a true espresso machine. Pod coffee makers have been helping consumers break into the realm of espresso, and Nespresso is often at the top of the heap. Read on some background and our top picks for the best Nespresso machine.